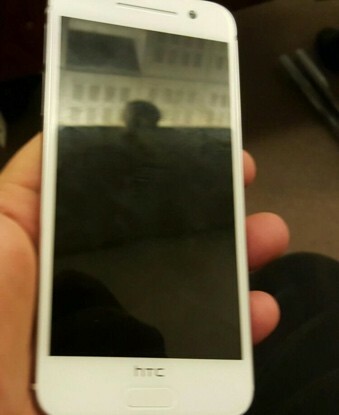 A blurry photo of HTC One A9 made the rounds online, showcasing the handset in a white color scheme. The mid-range smartphone is expected to debut at the end of this month, on September 29 alongside a high-end HTC device. Despite the photograph’s subpar quality, the upcoming One A9 clearly resembles a lovechild of Apple iPhone 6 and Samsung Galaxy S6. The handset appears to pack a metal body, as well as a fingerprint sensor that’s integrated into its home button. Rumored specs of HTC One A9 include a Qualcomm Snapdragon 617 chipset, 2GB of RAM, 16GB of expandable memory, 13MP main camera with OIS, and 4MP front-facing snapper. A 5” 1080p AMOLED display and 2,150mAh battery are also said to be on board. Past report suggests that the handset will boot Android 6.0 Marshmallow out of the box.